In the age of information and data analysis, failing to embrace statistics can jeopardize your job as a football manager. Just look at newly appointed Rangers manager Mark Warburton, who much to the dismay of the Brentford fans lost his job when he publicly declared that the increased use of statistics, was one of the key reasons for his exit. Which was extremely puzzling as Warburton used to be a City trader where presumably he carried out data analysis on a daily basis? 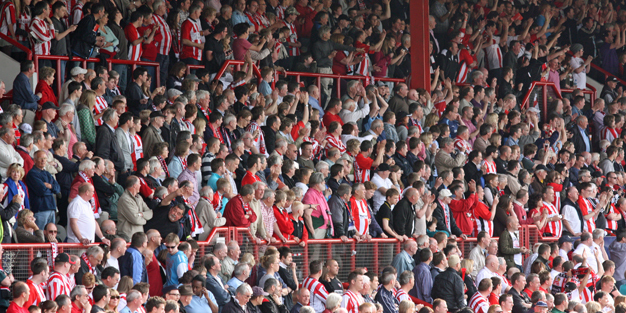 Why are Brentford turning to a statistical approach? Matthew Benham, owner of the club, is a physics graduate, who loves football. He made his wealth through his company Smartodds, a consultancy firm that produce statistical information about sports events, primarily football matches for professional gamblers, who then use it for betting patterns. Smartodds has a team of analysts, statisticians and mathematicians who spend their time creating patterns to predict football matches. So how is this business model being adopted to Brentford Football Club? Will statistical modelling bring success? With a small squad and the loss of pivotal figure Alex Pritchard, who has returned to Tottenham after a successful loan spell at Griffin Park, it appears Dijkhuizen faces a tough task to emulate Warburton’s achievements in west London. Having the resource of analysts who will help with pre-match preparations, post-game debriefs, identifying transfer targets and developing strategies for young players coming through the ranks can only be a good thing. Maybe it takes a brave club like Brentford to adopt this change in management style before the bigger clubs will understand the in-depth information they could have at their finger tips to make game/business changing decisions.